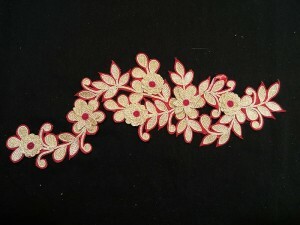 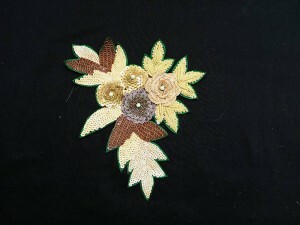 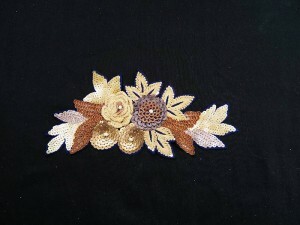 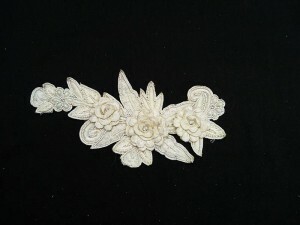 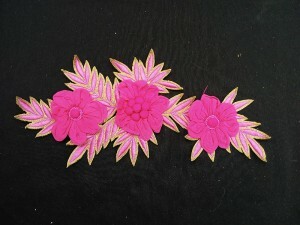 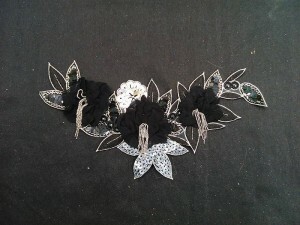 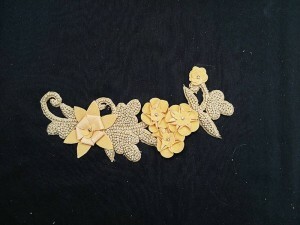 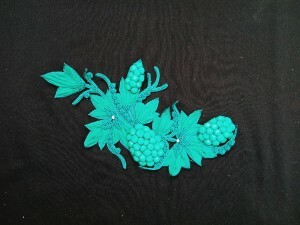 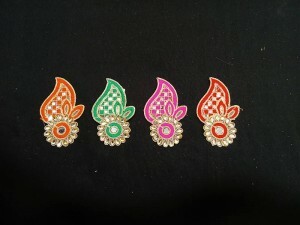 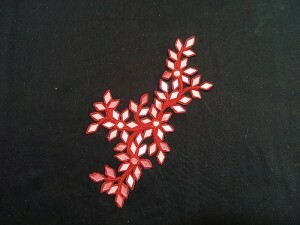 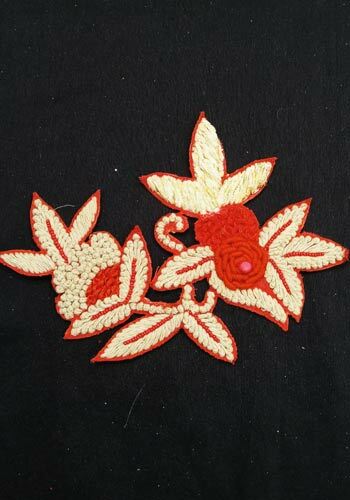 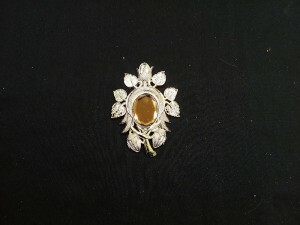 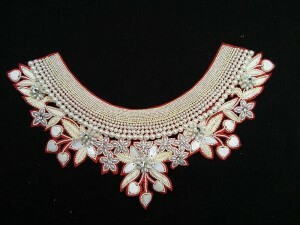 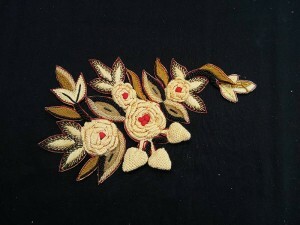 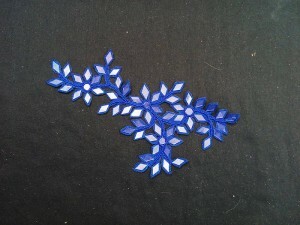 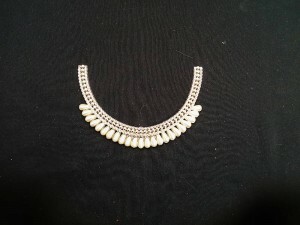 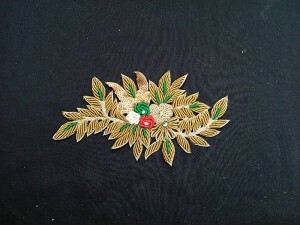 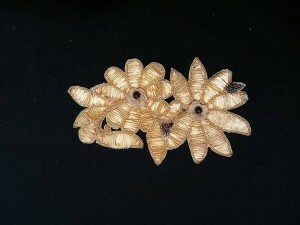 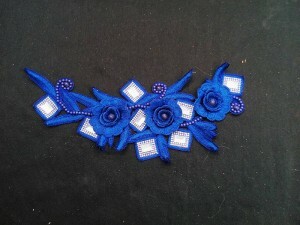 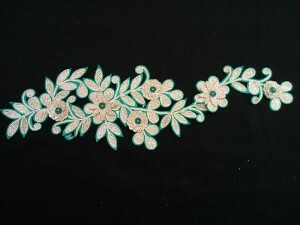 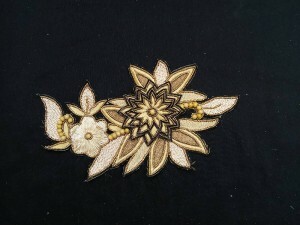 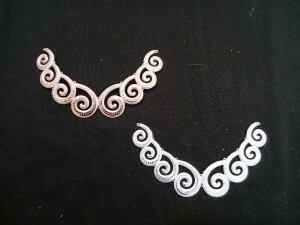 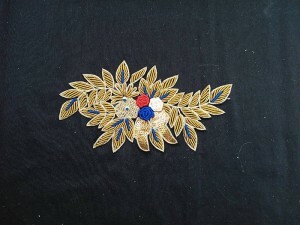 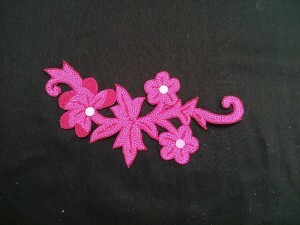 This type of work is done using different coloured thick and thin threads. 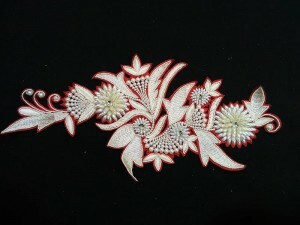 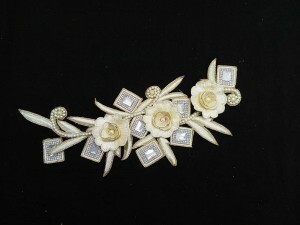 The designs are made in details with so much accurateness. 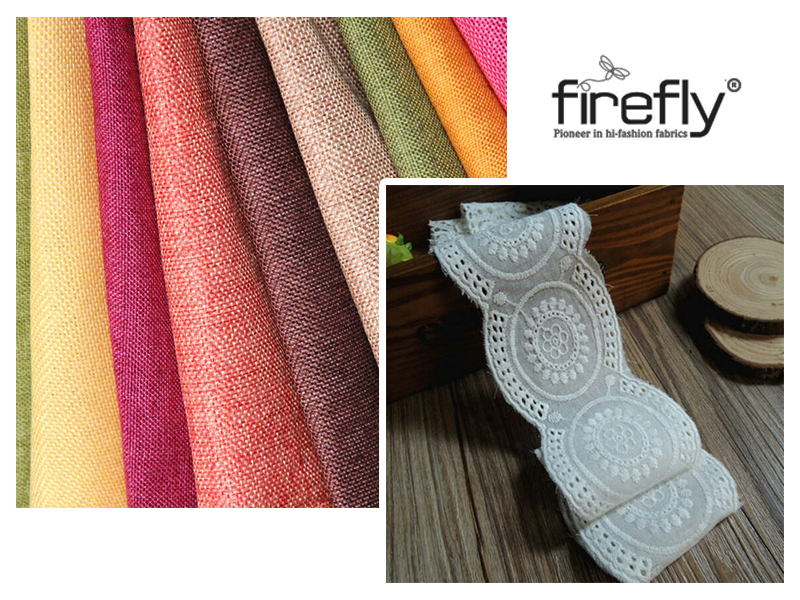 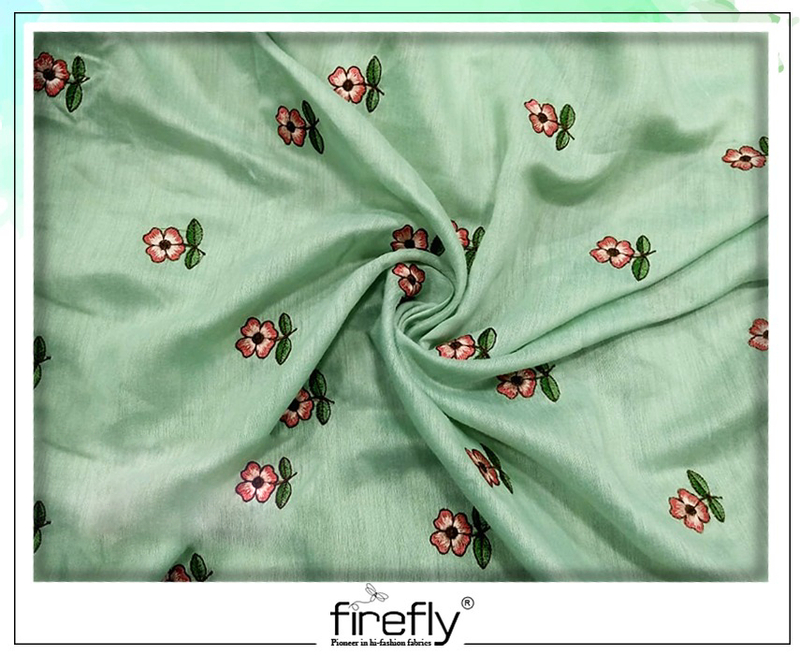 Fabrics with booties should be kept away from ironing as much as possible. 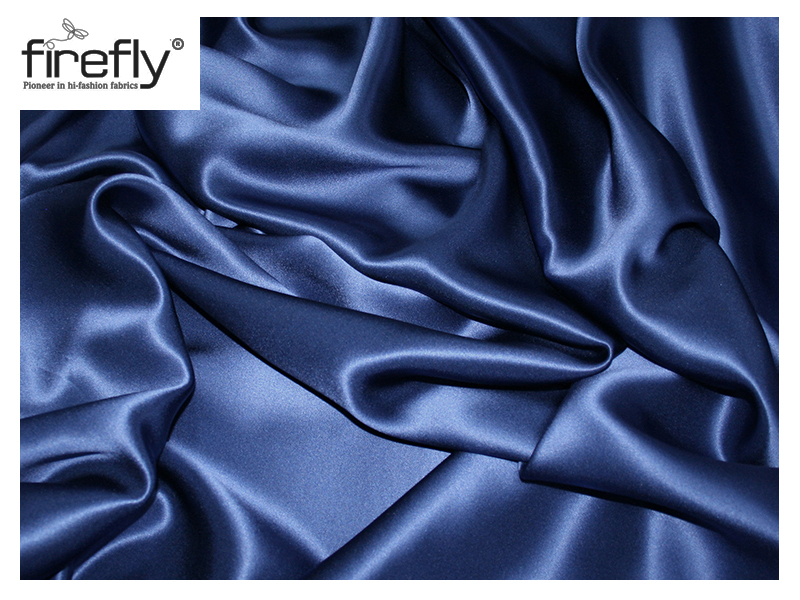 Gentle washing is preferable.